The city of Lund is currently undergoing rapid developments in a number of areas, such as the Light Rail project, as well as having relocated City Hall itself to Sweden’s greenest new building. Lund also has internationally renowned academic institutions – at a university that’s celebrating its 350th anniversary this year, and several leading companies who thrive in its unique environment of collaborative public-private partnerships. This background makes for a particularly exciting environment for a project like Lighting Metropolis. 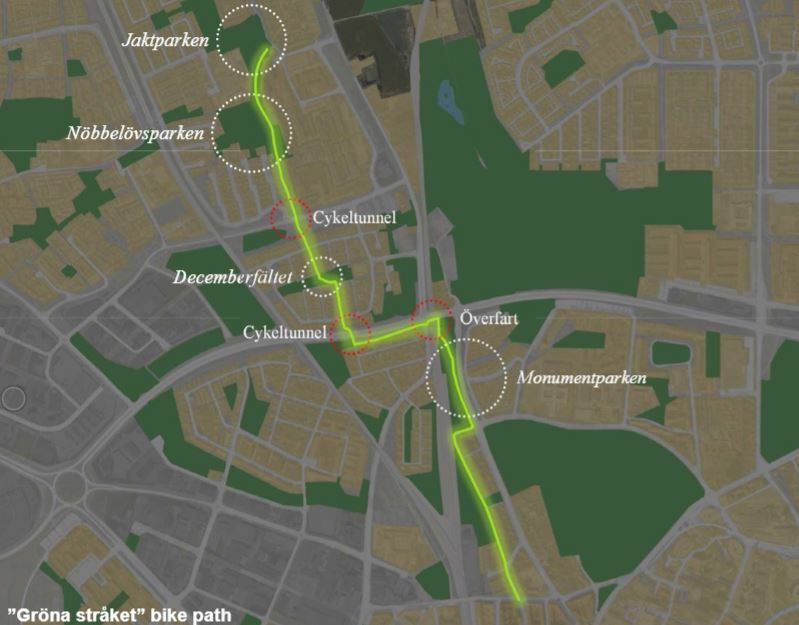 The municipality is currently developing two demonstration projects within our partner group; one along a popular and central bicycle path and the other in a school canteen in a suburb. We asked Maria Sjögren at the Park- and Nature office & Elin Dalaryd at the Service management department, for hte latest updates on their projects. 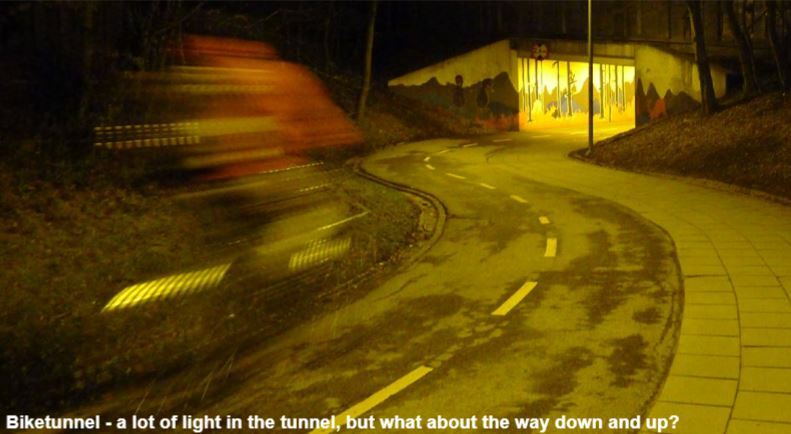 “Biking is one of the top priorities for Lund’s municipality, and this project is about exploring the capacity for creating a safer and more attractive biking environment after dusk, with light installations, by combining design, technology and social science”, says Maria Sjögren and adds that the particular pathway has been selected because it traverses a very diverse range of urban environments along its route – such as parks, different types of residential areas as well as overpasses and underpasses to larger roads. The city has just invited 3000 citizens who live nearby the green path to participate in a survey assessing the current lighting environment. The survey is conducted in collaboration with Environmental Psychology researchers at LTH, Lund University. Based on this input, an innovation team will develop new solutions by mid Autumn 2017. As the owner and manager of facilities that cooks and serves around 18000 meals every day for its organization, Lund’s municipality potentially has considerable gains from mimizing food waste in their canteens. This will be investigated in a new demonstration project, by collaborating with Zumtobel, and a dedicated innovation team consisting of, among others, a lighting designer and an architecht and the municipality. “Currently, an evaluation of the existing lighting scenario is being undertaken and a full lighting plan for the new scenario is under development and will be presented in February”, says Elin Dalaryd. The installation will be implemented by mid 2018. More information about the demo projects can be found on the municipality’s homepage. The municipality is currently formulating a new vision for their city, together with the people who live and work there, mainkeeping the current emphasis on a ‘City of ideas’.